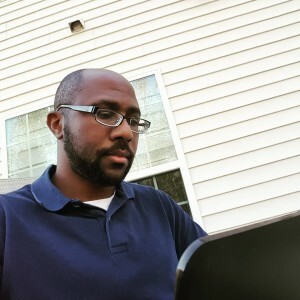 Hello, my name is Chris Craft and I’m a Christian writer in Atlanta, GA. I know some people don’t know why Christians love to append their faith to their occupational calling. It’s probably quite annoying to some folks. But I can’t be concerned with others’ feelings as it relates to this because there’s a reason for it. Christians, without trying to sound arrogant, are people set apart from the rest of the world. We are in the world, we use the world, but we’re not of the world. So while I’m in this world, it’s my job to inspire you spiritually and intellectually through my writing in a biblical fashion. I know God made writing my calling. And it’s my goal to glorify Him through this talent. It’s also my intention to use pen, paper, and keyboards for promoting both holiness and excellence (in business, marketing, and more). But I must admit that I haven’t always had this clarity and passion for writing. Though I had published a book (which was written before my salvation, so please read with discernment), my calling didn’t become clear until after God turned on my soul’s spiritual light switch. This is when His purpose for me became clear. While studying electrical engineering at Georgia Tech, I knew I wanted to do something entrepreneurial but it wasn’t clear that it was supposed to be writing. I started a record label, Shaman Work Recordings, after graduating and trudged through the wickedness of the music industry for seven years (practically unscathed thankfully). After a few other silly business ventures that lead to depression and the wiping out of my inheritance/”nest egg” after my father’s death, writing (via online marketing) started to become a clear path to me. Nao Media was founded during this time in 2010 when a preacher at South Columbus United Methodist Church asked if anyone in the congregation knew how to set up a blog. The church insisted on paying me for my services, which lead to Nao Media’s incorporation. Quite divine, right? It was also around this time that I started to become more aware of the need to live a more Christ-like life (though I wouldn’t be saved for another four years). In the past, every other type of business-related task and meeting would find its way onto my calendar. And the old me would not intentionally set aside time with God (prayer, Bible reading, journaling, and meditation), devotional time with the family, and fellowship with other believers. Today, I include writing activities in daily tasks and in my 5-3-1-year Lord willing goals. And now vertical and horizontal spiritual disciplines are the highlights of my week. It’s a new day. Writing involves strict dedication to your craft. It’s a naturally selfish profession. Personally, I need time, space, and quiet in order to be productive. Contrast this with being a Christian, which involves selfless service to others (spouse, family, spiritual family, and neighbors). These worlds can collide and cause frustration; and the only option for lasting peace with these two colliding worlds is to fully embrace the Christian worldview. Jesus’ life on earth was filled with interruptions — from performing miracles and healing the sick to teaching and rebuking the scribes and Pharisees. He dealt with it perfectly and Christians are called to deal with interruptions too. So what do I do? I take it to God of course because I know achieving excellence in both areas is hard as all get out. I struggle with it everyday, but I trust that God and godliness will grow and prepare me over time. So what’s next? Definitely stay tuned here at CraftWrites.com for book updates and inspiring blog posts. I’ll be writing on faith, family, business and sports (occasionally). In closing, God’s purpose for me to become a Christian writer has become crystal clear. I intend to keep writing to serve you until Christ’s return or the day I fall asleep.